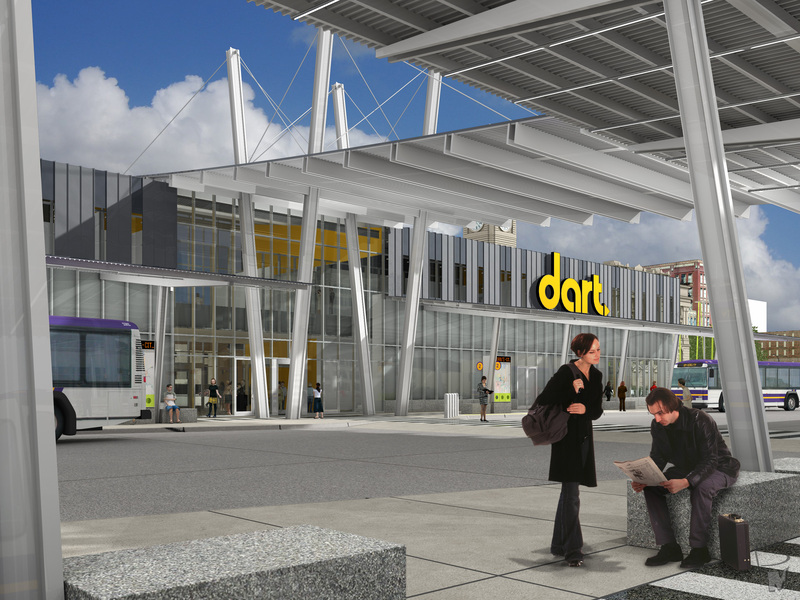 It’s official: The U.S. Department of Transportation this morning announced that DART will receive $6.5 million for a new transit hub in downtown Des Moines. On top of $4 million from the state earlier this year, the grant gives DART enough money to break ground on the building portion of the hub. Construction of the $20 million facility will be phased as funding allows. DART will continue applying for federal grants for the hub until there’s enough money to finish it. Why the building before the bus bays? If the bays were built and open for business, a construction site between riders and their buses would be unseemly, to say noting of completely unsafe. A press conference to announce the grant is being held this afternoon. See yesterday’s post for more details on what the transit hub will mean for riders. This entry was posted in Transit Hub by DART. Bookmark the permalink.